Air pistol is a great introduction to the shooting sports, but very skilled and long-time sportsmen also love to compete. The equipment, and especially the ammunition, is typically less expensive. It is also a very clean and quiet type of shooting with little to no recoil. Air pistol is popular with the whole family. Firing is done from a 10 meter distance (33 feet) at a standard 10 meter target. The Air Pistol League starts in the beginning of November and runs for 17 weeks with a break at Christmas. and on Friday evenings from 6:00pm to 9:00pm. Shooters may shoot either day or both days. 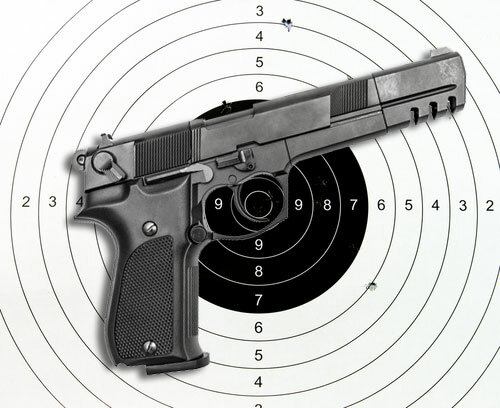 League shooters must use a .17 caliber air pistol. Persons wanting to shoot in the league are required to shoot 18 targets for score. The fee for league shooters is $3 per target. If you want to shoot, but not in the league, the fee is $1 per target. Members, their families, and the public.